Those who fail their tests to join the seasons, or fail their entrance to any faith often find themselves shamed by their friends or family or even feel a deep shame instead themselves existing in a world of faith and them being failures.Those who become overwhelmed with these feelings often run away from home with minimal supplies and very little plans. In the Eden area that usually means being in the woods and that is not a place you want to be alone in. 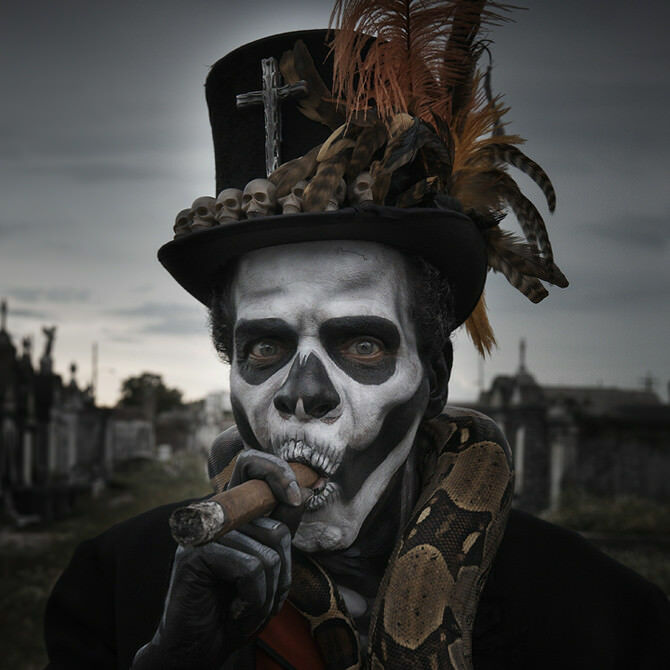 Your character didn’t make the cut in to the cult, you were found and recruited by the Voodoo Daddies. However you could handle the needed lessons both physical and mental they tried to instil in you. After one particular physical training they left you for dead abandoned in the woods, you made it to town with nothing. You realized your mistake and made a run for it. You didn’t make it very far but there was hope as you’ve overcome your previous abandonment. The Voodoo Daddies didn’t stick around to see if you crawled out of the ground. They will never stop hunting you.